Over easy, sunny side up, over hard and that’s before you get to poached scrambled or fried. Eggs can be cooked in many different ways, it’s part of their beauty, and this infographic by Culinaut sets out a handful of the ways in which eggs can be cooked with explanations on what exactly each name means. 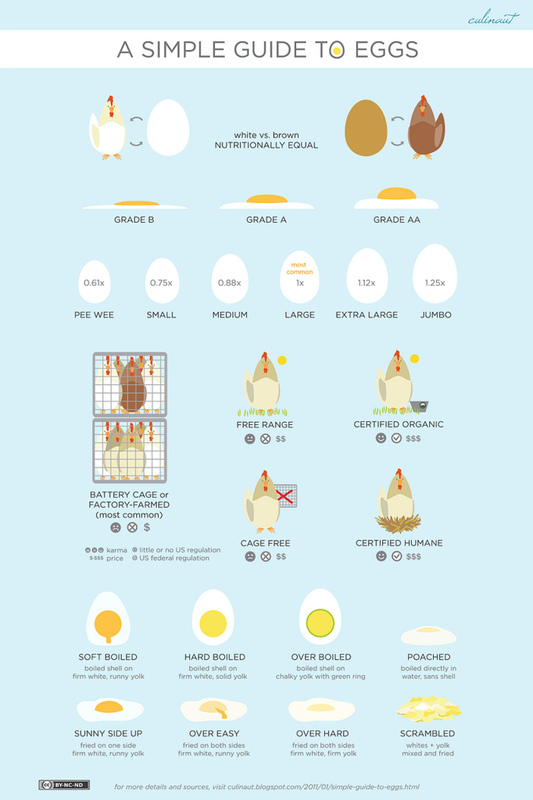 There’s also info on the many different types of eggs that can be bought in the store, and a small look at the difference between white and brown eggs. As simple as the infographic might seem, there’s actually a great article to go with it on Culinaut that lays out some detailed info on eggs, how to cook them and even info on why your hard boiled eggs sometimes have that greyish colour around the yolks.